All applicants must complete the admission process, as outlined below, to be considered for admission to the school. Step One — Submit the required application documents to the Admissions Office. Step Two — Once the required application documents are submitted, coordinate a date with the Admissions Office for entrance tests and interviews for the applicant. Step Three — On the scheduled test and interview date, it is essential to arrive on time. An application fee of U.S. $200, or the peso equivalent, can be paid at the Brent Cashier. Credit cards and checks are also accepted. Interviews with the applicant and parent/s will follow the entrance test. A decision on acceptance can then be made. Step Four — When an applicant is accepted, a slot is offered in a specified grade level. Acceptance is confirmed by the family through the payment of a Slot Reservation Deposit and completed Admissions Agreement form. The U.S. $600 Deposit is non‑refundable, but will be applied towards the school fees. The Deposit and Admissions Agreement form must be submitted within three working days from the family’s receipt of the written notice of acceptance. Step Five — School fees must be paid before the student attends classes. Brent accepts students throughout the school year for grade levels with openings. Upper School applicants (grades 9 and above) can submit an application for the following academic year as early as October. Lower and Middle School applicants (Nursery to grade 8) can submit an application for the following academic year as early as January. Application for Admission. Accurate, complete answers are expected. Health Form. A parent completes Brent’s form. Parent Questionnaire. For Nursery, Pre-Kindergarten, and Kindergarten applicants. Confidential Evaluation Forms. 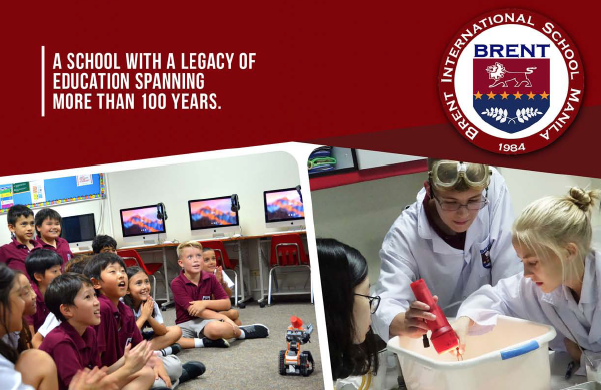 The current, or most recent, school completes Brent’s forms. One evaluation is from a math, English, science or social studies teacher for Pre‑Kindergarten applicants and above. One evaluation is from a Principal or Guidance counselor for grade 4 applicants and above. Students in need of learning support should also submit the Resource Teacher Form. Academic Records. At least two years of final report cards are needed, including any progress report or report card received in the current school year. If written in another language, an official English translation is required. Birth Certificate. A photocopy is acceptable. Immunization record. A photocopy is acceptable. No particular immunizations are required. Guarantee Payment Letter. To reserve slots before moving, submit on company letterhead the details of school finances they will sponsor and be billed for. A sample template is available on our website. MAP Scores. Optional. Only if MAP (Measures of Academic Progress) standardized tests were given at the current / recent school. If the scores meet our expectations, we can then waive MAP tests on the entrance test day. Local Applicants. Both parents provide a photocopy of a valid government issued photo ID. Examples include a passport bio page, driver’s license, PRC ID, digitized SSS ID, and Unified Multi-Purpose ID. Documents submitted to Brent’s Admissions Office automatically become property of the school. The Admissions Office has the sole discretion whether to copy, provide, or return documents. Feel free to contact us at admissionssecretary@brent.edu.ph or +63 (2) 779-5140 through 5146 or +63 (49) 544-5100, Ext. 515. We look forward to hearing from you!